They said 229 jobs would be cut from the staff at Alstom Power Systems (APS), including 146 at GE Energy's European headquarters in Belfort, eastern France. Another 149 jobs are on the chopping block at GE Energy Power Conversion France and 90 at GE Grid, they said. 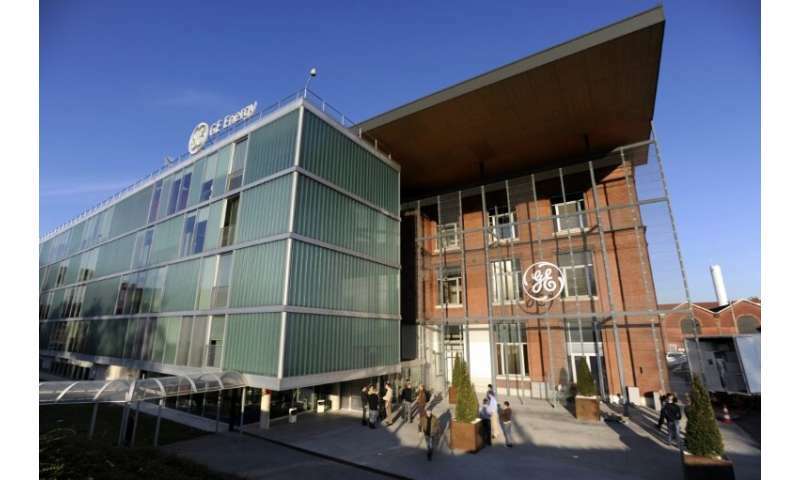 GE opened negotiations to trim its staff in France—apart from employees at its French headquarters in Paris—under a "collective mutually agreed termination", a measure introduced in France in September 2017. At APS, some departures would be among senior staff nearing retirement, the unions said. Contacted by AFP, GE's public relations spokesman in Belfort confirmed that talks had begun, saying the firm was "reviewing its activities to be sure they are responding to marketplace realities and will allow for longterm success". He said GE had launched talks with APS personnel representatives regarding voluntary departures, but would not elaborate because talks are ongoing. The CFDT and CFE-CGC unions at APS issued a joint tract questioning the wisdom of job cuts, fearing their effects on "the continuity of activities (and) the maintenance of skills and expertise." Talks with unions at Power System began in December. A first meeting last week over the fate of APS workers is to be followed by weekly talks, with unions saying management is slating the first departures for April.